There are many applications of strong and powerful magnets in various industries. So, the search for a suitable magnet has always been on. In 1982, Sumitomo Special Metals and General Motors developed a solution. They developed the strongest permanent and natural magnet which is popularly known as neodymium magnet and is now commercialized as N52 magnets. It is a rare earth magnet made from an alloy of iron, boron and neodymium. Needless to mention that N52 magnets have successfully replaced many magnets in sectors such as hard disk drives, magnetic fasteners and cordless tools in motors. Its tetragonal crystal structure renders it highly resistant to being demagnetized. Magnetic properties of N52 magnets essentially depend upon manufacturing techniques and alloy composition. N52 magnets are so powerful that they can cause injury to body parts pinched in between them. It may be so serious that it can cause breakage of bones. Ferrite and Alnico magnets have been an option for those sectors where a strong and permanent magnet is indispensible. N52 magnets have replaced them being much smaller and lighter. They are widely used in cordless tools, servo motors, electrical power steering, actuators, drive motors for both electrical and hybrid vehicles, lifting and compressor motors, spindle and stepper motors and synchronised motors. It is used in Magnetic Resonance Imaging (MRIs), loudspeakers, headphones, magnetic bearings, couplings etc. 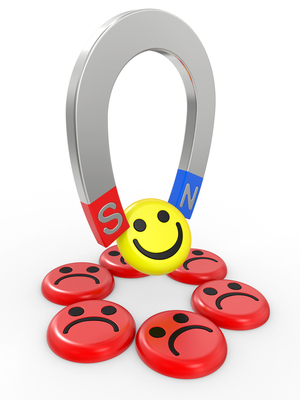 There are some other non – conventional industries that do not use magnets usually, have adopted this magnet such as in making magnetic jewellery clasps, building blocks or legos, other toys etc. Their numerous merits are somewhat tarnished by the fact that they pose hazard whereas other magnets are practically harmless. N52 magnets are so powerful that they can cause injury to body parts pinched in between them. It may be so serious that it can cause breakage of bones. There has been many cases where small children have swallowed these magnets and their digestion tract were folded in between, leading to serious conditions and even death. If two such magnets are brought towards each other, then they might strike together very fast giving rise to flying chips which may cause injury. There are two principle routes through which N52 magnets can be produced. The first is the sintered magnet process which is also the classical powder metallurgy process. A process of liquid phase sintering is used where the powder is magnetically aligned. The second is bonded magnet process or rapid solidification. These magnets are indeed a wonderful invention which has changed the face of modern industries.